A portrait of marriage and a family. The parents of an eccentric adopted child head west to explore his roots and learn a few things about their own. 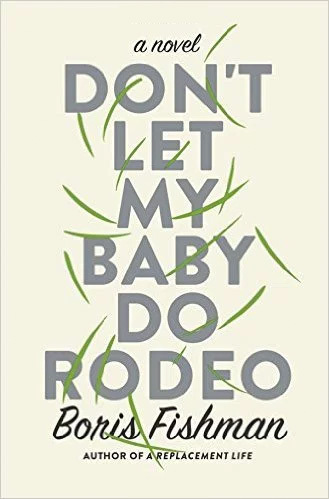 Don’t Let My Baby Do Rodeo is a novel about finding the right words for what was once foreign but is no longer. It is suffused with sadness as well as humor, with hope as well as weary despair, and Fishman describes the turmoil of family, parenthood and cultural emotion with urgent, sly detachment. 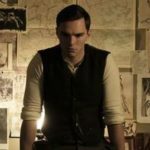 His language has the originality and imagination of someone who comes to English with unexpected thoughts and rhythms in his head, and he is, simply, a joy to read. Fishman's book lays plain the contradictions and sacrifices inherent in the immigrant experience. Sometimes the symbols and metaphors are a bit too on the nose: the car the Rubins drive west is the Escape and the cowboy Maya meets is named Marion, like John Wayne. But more often than not, this book is an eloquent and uncynical tale of how far people must travel to find out what they truly want and who they truly are. The plains may be flat and barren, but Fishman's narrative swerves repeatedly in refreshingly unexpected directions. After a bumpy start, Don't Let My Baby Do Rodeo grows on you as it stretches beyond themes of adaptation to champion the importance of getting in touch with the great wilderness — both in nature and oneself. What did you think of Don't Let My Baby Do Rodeo?